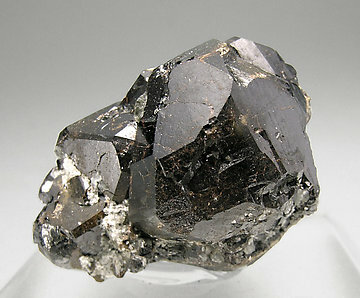 The Cafarsite crystal is large, quite complex, has perfectly defined faces and edges, and it combines the forms of the rhombohedron, octahedron, pyritohedron and cube. The Albite matrix adds to its esthetics. A great specimen with more brilliance and beauty than is usual for this rare species. 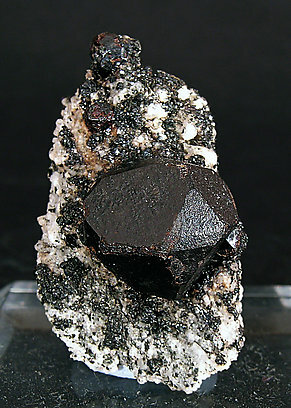 Group of complex crystals, one of them clearly dominant, of good size, bright, very rich of faces and partially coated by of small crystals of mica, probably Muscovite. The crystals have small holes that are not damage but growth defects.